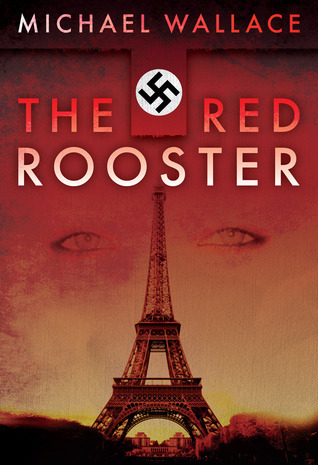 Of all the desperate women in German-occupied Paris, Gabriela Reyes is the least likely to scratch out her survival as a whore for a Gestapo agent. After fascists murdered her mother and brother and tortured her father in an insane asylum, she hates the Germans as much as she fears them. But when she discovers the man responsible for destroying her family, she decides to become his mistress to try to free her father and avenge her family. Helmut von Cratz is a war profiteer using his wealth to undermine the Third Reich and is one meeting with an American agent away from ending the German occupation of France. But Gabriela's sudden appearance as Colonel Hoekman's mistress jeopardizes Helmut's careful plans. Now he must decide: will he abandon his plans, or will he sacrifice yet another woman to the German war machine. This is a story about loyalty. This is a story about a German, Helmut von Cratz, and his loyalty to his country. In order to protect his country he must spy from within the Nazi establishment and collaborate with the Americans, to make sure the Russians don't win the war. This is also the story of Gabriela Reyes and her loyalty to her father. If he's alive she must find him. If he's dead, she's going to kill the man who took him away. I'll just say this...of the two stories of loyalty, only one made sense to me -- the German, Helmut von Cratz's. I refused to even try to believe Gabriela's motivation. Yeah, she had a noble cause but the means she was using to achieve the desired end was questionable. Basically, Gabriela would seduce Hoekman, a Gestapo bigwig, at Le Coq Rouge (a fusion of restaurant and whorehouse) to get information about her father and then kill him. But then Helmut decided he would seduce Gabriela and convince her to get closer to Hoekman (which she was planning to do anyways) so he could find out if Hoekman knew he was a spy, and then kill Hoekman and possibly Gabriela if need be. The whole plan just seemed far-fetched, overly ambitious and unrealistic. And that's probably why it didn't work. I think my favorite part is near the end when we realize Gemeiner has given in to torture and confessed about the espionage and Helmut to Hoekman. Things were going a little too smoothly for everyone up until this point. My least favorite parts are the several times Helmut and Gabriela almost hook up -- really annoying. Sometimes I felt like there were gaps...for example when Helmut and the girls are fleeing Paris after Helmut's been discovered and Gabriela's failed assassination attempt on Hoekman. The escape to Marseilles seemed way too easy and lacked a certain level of suspense. I think it would be nearly impossible with the Germans and French police looking for them, and yet somehow they made it. Sometimes I found myself reading a lot of awkwardly phrased dialogue. I don't know if something is lost in translation from French to German between characters...and then it's written in English? I'm making excuses, it could just be poor dialogue. 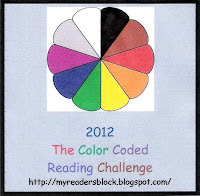 And still I enjoyed this book. The gaps didn't detract too much from the plot, and the awkward dialogue made me laugh. I even found myself googling images of mustard gas scars and reading up on the side effects of a lobotomy and Heinrich Himmler. All very intriguing stuff. If I were a history buff specializing in World War II, I might take issue with this novel -- but I'm not. Reflections on May...and the first half of 2012.